Frozen yogurt exploded on the scene a few years ago. ICR agents were fielding calls daily from interested start-ups and franchisees looking to capitalize on the “fro yo” trend. It was a hard sell to some skeptical landlords, knowing our climate is predictably in a deep freeze for several months annually. Some of those tenancies have flourished; others were not so lucky. The market seems to have evened itself out. There was definitely a demand for frozen yogurt but timing, location and, in general, business planning probably determined the surviving operators. Market determines demand. And in the case of the frozen yogurt stores there could only be so many. Fads can come and go, but I think most Canadians would tell you beer is here to stay. 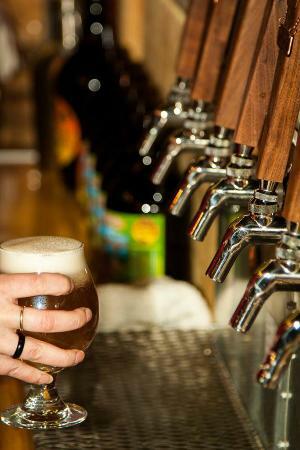 Craft beer is loosely defined as beer made by small, independent brewers. The term microbrew preceded craft but holds an entirely different connotation. Microbrewers were often restricted to the amount of distribution of their product, and it was primarily served in-house. Craft brewers on the other hand are seeking the largest audience possible. Craft breweries have popped up all over Saskatchewan, primarily settling down roots in Regina and Saskatoon. The concept of the breweries is somewhat universal: these aren’t your grandpa’s old neighbourhood bar. Beer connoisseurs can visit a craft brew pub and settle in for a “flight” of sample beers before proceeding to the tap to fill a jug of the locally sourced product. These jugs, most often referred to as growlers, are eco-friendly and tap into a generation of earth conscious drinking folks. Saskatchewan Liquor and Gaming is on board providing growler fill stations for some exclusive craft brewers in their stores. Additional distribution to local bars allows the beer to flow outside of the craft pubs and many brands can be found stocked up in liquor stores. With a strong following of Regina’s Rebellion and Saskatoon’s 9 Mile and Prairie Sun, I feel safe in saying we won’t see the end of this craze any time soon. I’m sure I’m not the only one that would welcome more, how about you?